The Wrexham INFO shop is a free and confidential information shop for young people between the ages of 11 and 25. Help, information and advice are freely available; and also access to public computers is provided for job searches, creating CV, etc. 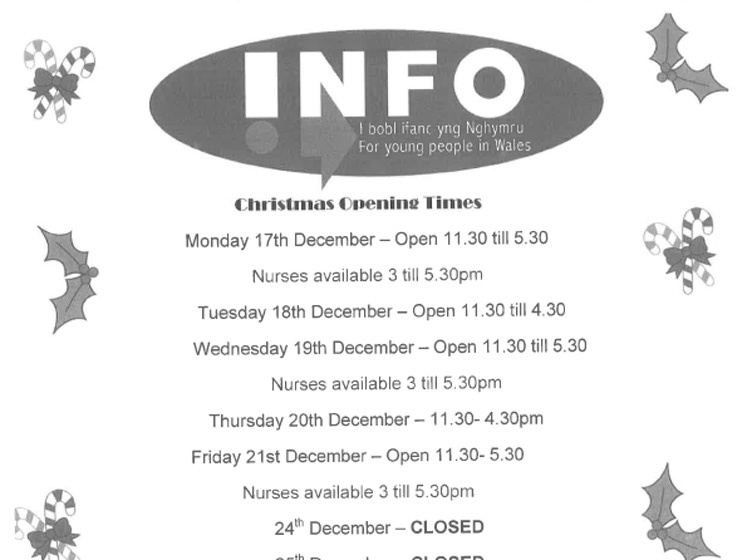 Download the Christmas opening hours here.